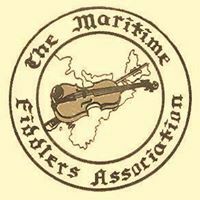 Information The Maritime Fiddlers Association (MFA) is a non-profit organization that promotes old time fiddling in the Canadian Maritime region. The MFA was first formed March 28, 1981, and currently has approximately 600 members from around the globe. The MFA continues a strong tradition of supporting all ages in fiddle related events including concerts, contests, festivals, workshops, and the ever popular 'Fiddle-Doo'. Currently, the MFA serves over 600 members from all over the globe. Members receive The Maritime Fiddler, a quarterly newsletter, filled with new articles of interest in every issue including musician profiles, event notices, sheet music, contest results, and many other items. First time members also receive an official MFA lapel pin. To learn more about the MFA, how to become a member, or to find a fiddle group near you, please call, email, or visit our website.